Several studies have shown the presence of increased values of S100B in samples from patients with degenerative central nervous system (CNS) disorders, such as amyotrophic lateral sclerosis, multiple sclerosis and Alzheimer’s disease. The first two chapters review the main findings and clinical significance of S100B detection serum and/or cerebrospinal fluid from patients suffering from such neurogenerative disorders. 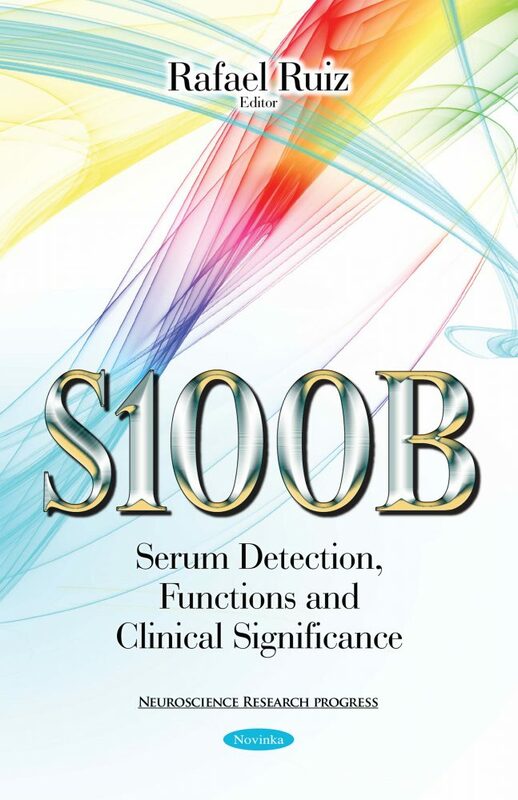 In the third chapter of the book, the authors present an updated view of the interrelation between S100B, glia, neuroinflammation, and depression, as well as their experience in stroke, where they encountered increased serum S100B levels in patients with more severe post-stroke depressive symptoms and proposed its possible utility as a blood marker for the prediction of post-stroke depression.